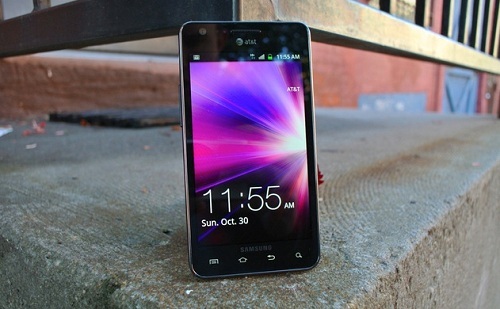 After a long wait and after going through many leaked Android 4.0 ROMs form Samsung we have finally received the official Android 4.0 ICS for Galaxy S2. XXLPQ is officially released for the Nordic regions with other regions getting the update in coming days. People living in Nordic region can upgrade their device to the latest OS through Kies. But for people who aren’t from that region they can also enjoy the update after they have gone through this guide. Before we start with the process of flashing to this final build let me point out that there are certain features missing from this final release that were present in the beta leaked ROM’s. Now don’t get worried because the features are mostly related to the 3D animation regarding the swiping the home screen and also the widget drawers. I am sure they aren’t something that will be missed when you are done updating. So without any further distraction let’s get started. Make a NAND droid backup of your current installation from the recovery mode. After backup is complete reboot into download mode and you can do this by holding down power button + middle button + volume down button. Once the screen displays download mode connect your device to the computer with USB Cable and wait for the drivers to be installed. Open Odin and at the COM Port it should flash yellow showing the device is connected. Now extract the firmware file and you should see a file with the following name 9100XXLPQ_I9100OXALPQ_I9100XXLPQ_HOME.tar.md5. Now click the PDA button and browse to the folder where you have extracted the firmware and select it. 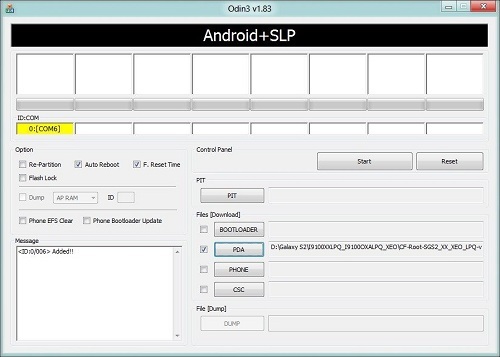 Wait for 10min for the flashing to complete and your phone will reboot and android 4.0 ICS will load and follow the procedures to set up your device. Connect your device to Odin and the COM Port should flash yellow indicating that your device is connected. After selecting the file click on start to begin the kernel flashing procedure. 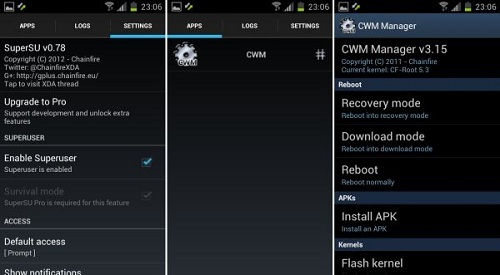 After its done your device will reboot and in your application menu you will notice CWM is installed along with the latest version of SuperUser app. I hope the guide has been helpful and you were able to install the Android 4.0 ICS official firmware on your device. Do let us know how the firmware is performing on your device.